Nothing is more refreshing than an ice-cold lassi. 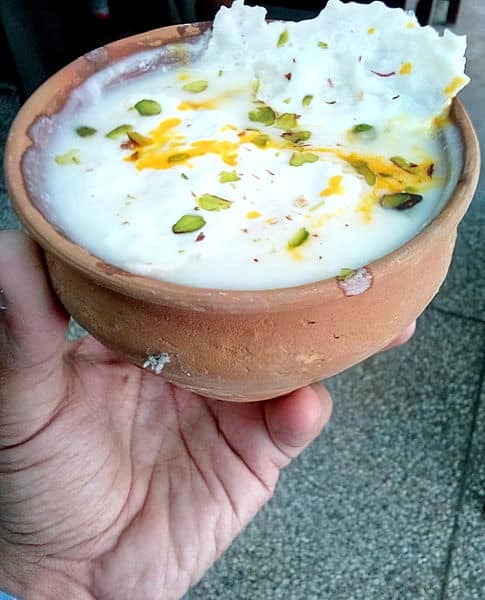 Made with yogurt, it can be found flavored with everything from cardamon to rose water or even mango, depending on how much of a traditionalist your lassi walla is. Whether you stop at the roadside for a quick glass of goodness before continuing on for your day, or have a creamy cup with your lunch, expect to be asked “sweet or salty?” This simply means would you like your drink with sugar or salt. Regardless of your choice, don’t expect the result to be subtle. Of course, if you’d prefer to have it au natural, most will be happy to oblige. While you can find lassi on street corners all over the sub-continent, not all are created equal. Here’s some of the best and most famous lassi-wallas. The lassi at this popular North Indian restaurant is cool and delicately spiced. Wash it down with Punjabi specialties like a warm aloo paratha (unleavened bread stuffed with spicy potato), or saag paneer (spinach with cottage cheese). Like all good Punjabi cuisine it’s rich in taste without leaving you feeling like you’ve had too much. Behind this simple shop-front lies a hidden Rajasthani treasure. They serve creamy lassies in traditional clay cups that will cool you down even on the hottest summer days. Located near the Clock Tower, it’s also near to some great bazaars, so don’t forget to take your bargaining spirit and a comfortable pair of shoes. Positioned right near Manikarnika Ghat, also known as the burning ghat, and with a bright blue door, just look for the long queues if you can’t find The Blue Lassi. 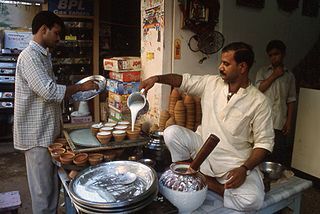 They have a large range of sweet and salty delights, from seasonal mango and strawberry, to the more traditional Benares Lassi scented with spices and served in a large earthen cup. It’s considered almost sacrilege to visit Old Delhi without stopping by the Amritsari Lassi Wala for refreshments. Try the Malai Lassi, made with hand churned cream, it’s thick, creamy and almost a meal in itself. If you’ve still got room, stop at nearby Karim’s for the best mutton biriyani in town. While it may be off the beaten track, if you want to try your lassi with a side of Bollywood, it’s worth the detour to the sleepy, colonial island of Diu. Think of this experience like Cocktail without Tom Cruise (or the vodka). The lively store owner pumps the music up loud and shakes his stuff while preparing a frothy cup of goodness for you. Stay on in Diu and experience a much quieter Portuguese colony than Goa.